Pictured above is both the Wheelchair Safety Alarm and the Bed Alarm. The Wheelchair alarm is the smaller of the two. Need to be alerted when your loved one, or patient is getting up and out of a wheelchair? 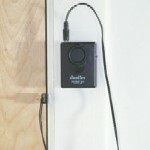 This safety alarm will alert you via an audio alarm when you loved one gets out of his/her chair. The Chair Safety Alarm pressure pad is made to fit on a wheelchair seat (can be used with other chairs as well.!) 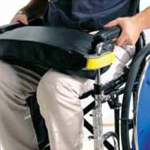 It attaches easily to the wheelchair and can be removed at any time. The pressure pad connects to the audio alarm. 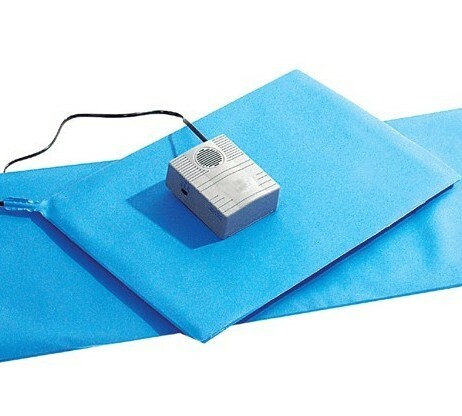 The pressure pad is 10" by 15" and is covered in a waterproof vinyl.